Looking to add new "flavor" to those old shape trace worksheets? The Shape Soup Characters are a fun bunch of veggie-shapes designed to engage students in learning about shapes! This freebie packet is a fun and simple introduction for students to work on tracing shapes,it has 8 Shape Soup 2D Shape Trace and Color Worksheets. 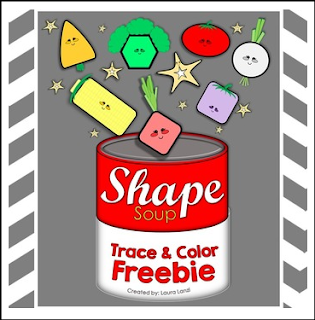 If you liked this activity, check out my Shape Soup: 2D Shapes and Properties Unit for more fun!